It’s almost time for the big day. .
Saturday afternoon is FREE for listeners, so please invite your friends and family to drop in and hear what we’re doing. 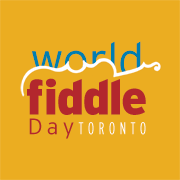 World Fiddle Day Toronto exists to promote understanding between cultures through music.